In the last September the company had a stand at HOMI in Milan, within the HOMI Materials Culture incubator, in a setting aimed at showcasing materials in their infinite application possibilities. At the same time, the Swiss company accepted the invitation from POLI.design to participate in the HOMI Hybrid Lounge laboratory, displayed one of its most innovative materials: SWISSCDF. 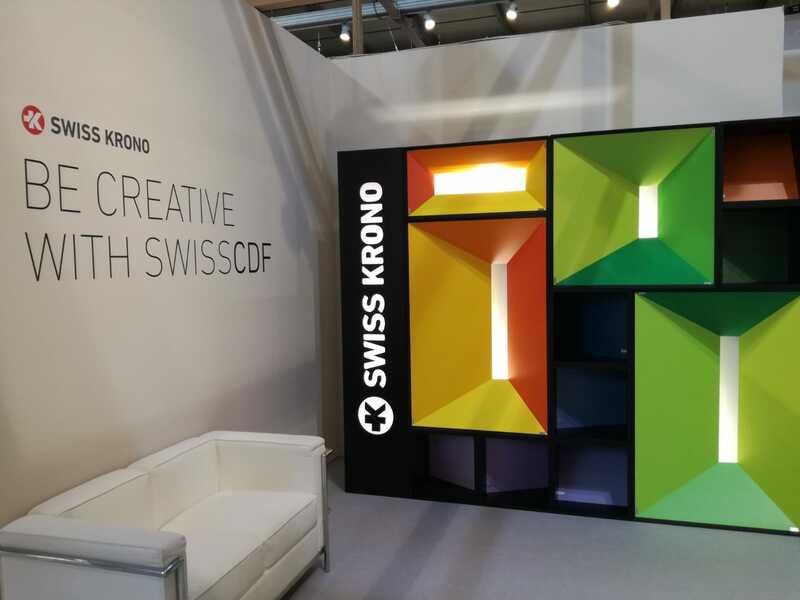 The renewed participation by SWISS KRONO AG at HOMI, underscored the company’s ambition of standing out in the design industry, presenting materials that are always innovative and in line with the latest trends in interior design.